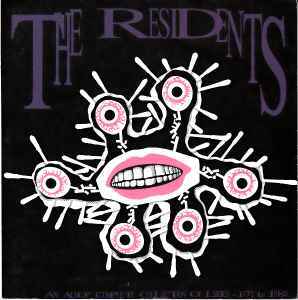 One sided 7" enclosed with the book "The Residents - An Almost Complete Collection Of Lyrics, 1972 to 1988" (available in two different covers - images 1/2 and 3/4 here). Liner notes and lyrics in the book are in English and Italian. The track was reissued in 1997 as part of Our Tired, Our Poor, Our Huddled Masses box set released by Euro Ralph.